Many children come to homeschooling directly from attending school, or the kids have been homeschooled their whole lives, but their parents’ only existing model for group learning is the school classroom from their own childhoods. When parents hear about homeschool co-ops, they are excited about the possibilities that this kind of learning community might offer to their family. 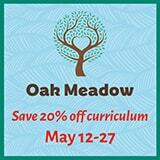 (For general information about co-ops, read What’s a Homeschool Co-op?). I just took my child out of school. Will a homeschool co-op meet all our needs? The main factors are the nature of the co-op and the nature of your child. If your child had academic or behavior problems at school, it may be more important for him or her to spend time deschooling rather than attending a highly academic co-op right away. A highly structured, highly academic co-op could be the scene of a re-run of the very same problems your child experienced in school. This could make your family not very welcome at the co-op or in the general homeschooling community, while also delaying the healing that needs to begin so your child can enjoy learning again. On the other hand, a half-day enrichment-type co-op might provide social time and unique activities that will help your child adjust to a homeschool approach to education. Then again, if your child was very academic in school but frustrated with a less academic atmosphere in her school classroom, she may adjust well and immediately to a highly academic homeschool co-op, where the peer group is more bent toward achievement and interest in learning. Most co-ops do not have any expectation that they are providing all a child will be learning — that responsibility remains with the parent. In other words, your mileage may vary, but it’s worth thinking about the reasons you have begun homeschooling and the type of co-op you are considering. 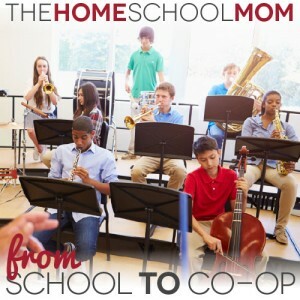 How is a homeschool co-op different from school? Co-ops with long-term homeschoolers typically have different expectations both for parents and children than what you might find at schools. Standards for behavior will probably be higher, with much more involvement by parents. Some co-ops have lots of rules for behavior; others have few rules, operating on the presumption that parents are helping their children learn behavior based on personal principles. This can mean parents need to pay serious attention to what the values are of the people in the co-op and help their child understand how to behave accordingly. Co-ops are seriously different from one another, though. (See Joining a Co-op for more about finding a co-op that fits). Frankly, there are even co-ops where the parents take quite a hands-off approach to kids’ behavior, sometimes in an honest reaction to draconian school or childhood experiences they’ve had, and things at co-op can degenerate into a Lord of the Flies atmosphere fairly quickly. Over the years, I’ve found that these co-ops really don’t last long, or they find their nucleus of members and don’t grow beyond that. (Don’t confuse a lack of guidance for children with “unschooling,” a legitimate approach to homeschooling that maximizes a child’s freedom to learn about things he’s interested in by using methods that work well for him. There are plenty of unschoolers happily participating in well-organized co-ops, with parents facilitating and guiding their kids, helping them behave cooperatively and respectfully. Children running amok at co-op is not a characteristic of unschooling, but it may be a hallmark of parents inexpertly coping with especially difficult children or children coping without the parental guidance they need and deserve). In one co-op, parents might be supported in attending class or an activity with a child who needs re-directing or special management. In another co-op, children would be expected to participate completely independently and any deviation from that ability might mean the child is not a good fit for that environment. Co-ops typically are not the “big box of school,” meaning they do not generally provide sports, lunches, transportation, or other “all-in-one” type programs. 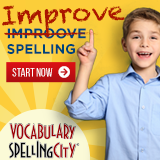 They are much more like an a la carte aspect of putting together your own homeschool program. You’ll also find a lot of co-ops have very different policies than schools. You’ll hear that some co-ops are “stop, drop, and roll” — meaning it’s intended that parents will drop their kids off and drive away. Others are adamantly not “stop and drop,” instead expecting parents to be on the premises all or most of the time that their children are there — acting in volunteer or support roles of some kind. Without “zero tolerance” to worry about, the kids at smaller informal co-ops may be allowed to carry pocket knives and whittle during their lunch breaks. I recall fondly when a rainy day message went out — “Have the kids bring their swords so they can get in some active indoor play today.” Much happy faux fencing with some seriously lovely handcrafted swords ensued — not something you’d see at school. Parents participating in a co-op are generally expected to have some “skin in the game,” contributing in some significant ways by participating with their time, talents, and/or finances. Many co-ops cost little — parents might only chip in for the meeting place. However, parents will also pay all of the cost of books and materials that a child uses for classes and activities. Other co-ops may pay teachers, meaning the per-parent cost goes up. What about grades, tests, and credits? Co-ops may have very different approaches to grades and tests. Our family has been in co-ops where grades were expected and everyone got them, where no grades were ever given to anyone and weren’t a part of the approach to education, and where teachers offered grades and tests to the families who wanted them without making them mandatory for anyone. This variety can be a lot for someone with a “school background” to comprehend. Some co-ops ask teachers to provide a syllabus and homework assignments for students. Others simply have teachers conduct an activity or discussion and assume interested students will pursue it further if they are motivated. Some co-op experiences are simply meant to be enjoyed and savored while the children are there, with the children perhaps extending their learning through reflection and anticipation of a related future experience. No matter how formal the documentation and no matter how much learning has taken place, most public schools are not required to accept “credit” from homeschool co-ops. State laws vary, and some public schools may consider co-op coursework, but most don’t have to. This means that if credit is important to your child for possible re-entrance into a public school in a future year (especially during high school), a typical homeschool co-op won’t meet your child’s needs by itself. Ironically, many colleges will consider work done at co-ops , especially if you learn to incorporate co-op work into a homeschool transcript and meet the college’s other requirements for showing your child can handle college-level work. If a co-op won’t meet all our needs, what’s in it for us? Homeschool co-ops aren’t meant to be schools, and they each have their own mission and philosophy. If you do find a co-op that’s right for you, you have found a way for your children to work with other adult teachers and mentors — including, perhaps, experts in their fields. Co-ops can also provide an opportunity to spend time learning alongside friends and a chance for kids to test their wings in learning environments away from home. Sometimes, you’ll find that a co-op is the way to offer your child a chemistry class or Spanish class that you cannot teach, or it’s a way for him to be part of a group of kids who volunteer and do service projects. A co-op may be a way to get a group together for a children’s choir or to perform a play. Academically, co-ops can indeed provide children with rigorous college-prep learning experiences or may be a great place for kids to learn to cook, learn basic auto repair, or even complete scouting or 4H requirements that may be built in to the program of the co-op. And if you’re as blessed as I have been with homeschool co-ops, you’ll also find a wonderful community of homeschooling parents, those who are traveling this road with you and your family. How fortunate we have been to be in co-ops with people who cared deeply about each other’s children, their relationships, their futures — and our own friendships with one another.